Taylor Fedun got a chance to show his worth in Buffalo. It's resulted in a contract extension. The Sabres signed the defenseman to a two-year, two-way deal Monday. His NHL salary will be $650,000 each season. The 29-year-old was set to become an unrestricted free agent. 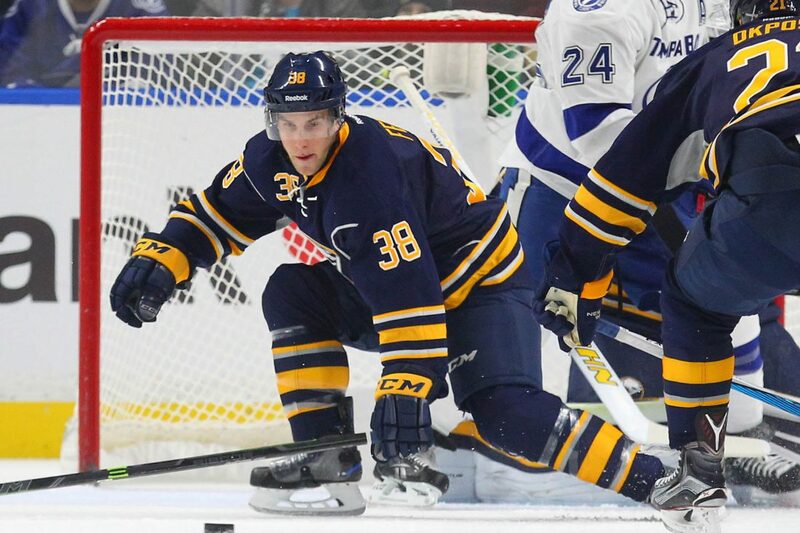 Fedun appeared in 27 games with Buffalo last season, recording seven assists. He added five goals and 23 points in 29 games with Rochester. Fedun signed a one-year deal with the Sabres last summer that paid $600,000 in Buffalo and $300,000 in Rochester, according to CapFriendly.com. The multiyear contract gives stability to Fedun, who has led a journeyman life since graduating from Princeton in 2011. He played for Edmonton, Vancouver, San Jose and all their minor-league teams before joining the Sabres last season. The signing also gives the Sabres flexibility on the right side of their blue line. The only other right-handed shots are Rasmus Ristolainen, Zach Bogosian and Casey Nelson.